Baltimore City's finance department releases a detailed budget plan for the upcoming fiscal year. 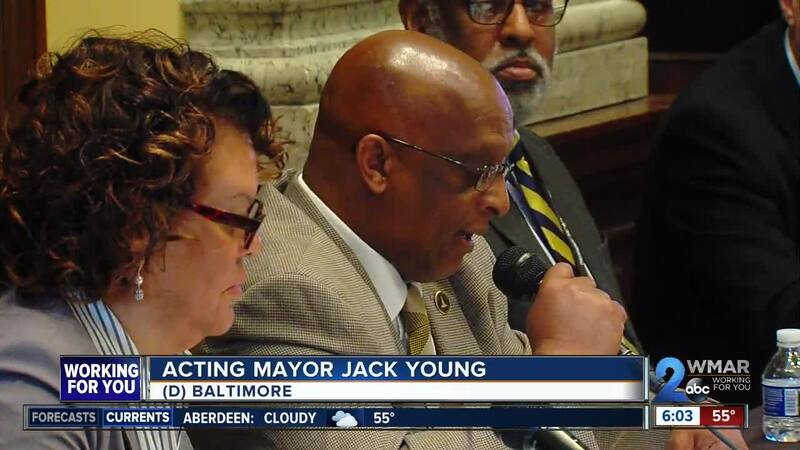 BALTIMORE, Md — Baltimore City's Department of Finance released a detailed $3.5 billion budget plan for the next fiscal year. More than $530 million will go to the Baltimore City Police Department, and $17 million of that will go towards new technology for the department. Acting Mayor Jack Young supported this decision, saying safety is one of his priorities. "I will advocate for a safer city," said Young. "I like Commissioner Harrison. I believe he's the right person for the job. I can't wait to see what he accomplishes. I told Commissioner Harrison that I wouldn't interfere with him building his team. With this budget, we will provide him with the resources he needs to get the job done." The city's finance department will present its final recommended budget to the Board of Estimates on May 1.